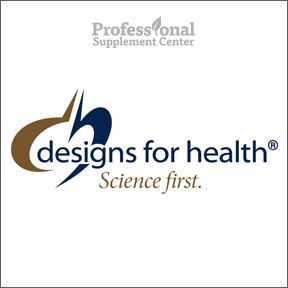 Founded in 1989 by a team of clinical nutritionists, Designs for Health® remains committed to providing nutritional supplements based on the latest scientific and nutritional research to satisfy the specific needs of those with chronic disease or other health concerns. Their quality ingredients, efficacious doses and company integrity result in professional-grade formulas designed to maximize the potential for successful health outcomes and optimal results. 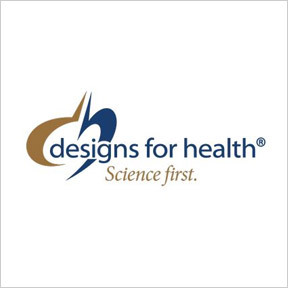 Designs for Health follows a high level of production standards in audited NSF registered facilities in compliance with FDA Good Manufacturing Practices (GMPs). All raw materials and finished products must meet stringent quality standards for purity, efficacy, potency and consistency and are tested for microorganisms, heavy metals, toxins and pesticides. Every product is evaluated and monitored throughout the manufacturing process and is analyzed to confirm the quantity of all dietary ingredients ensuring the consistency and accuracy of all label claims. Their superior quality, reliable synergistic formulas are available exclusively through healthcare professionals. Vitamin D Supreme with Vitamin K1 and K2 – This 5-star rated product provides a higher, therapeutic dose of vitamin D along with highly bioavailable forms of vitamins K1 and K2. Vitamins D and K work synergistically to support optimal blood levels of vitamin D, essential for bone and arterial health and immune system function. Consult your healthcare provider before use if you are taking anticoagulant medications. Gluten, dairy and yeast free, Non-GMO, vegetarian formula. GI-Revive™ Powder – This popular product provides comprehensive support for overall wellness by maintaining optimal gastrointestinal health and function. GI-Revive helps to rejuvenate intestinal mucosal health, promotes regularity and healthy bowel function and provides healing for ulceration and inflammation. Gluten free, Non-GMO formulation. C3 Curcumin Complex – This unique, patented, antioxidant and anti-inflammatory formula provides 3 bioactive, health-promoting curcuminoids that have been shown to protect and strengthen vulnerable organs, including the colon, liver and heart, by neutralizing and preventing the formation of harmful free radicals. Gluten, dairy, yeast and sugar free, Non-GMO, vegetarian formulation.